Digital Realty Trust sought an integrated security solution that would become the platform to control their facilities and provide centralized building management. internet enterprises, to manufacturing and financial services. Digital Realty Trust’s properties contain applications and operations critical to the day-to-day operations of both technology industry and corporate enterprise data center customers. Digital Realty Trust’s customer base is made up of predominately Fortune 2000 level companies. They pride themselves on developing a data center from start to finish in approximately 26 weeks from the time the order is signed. 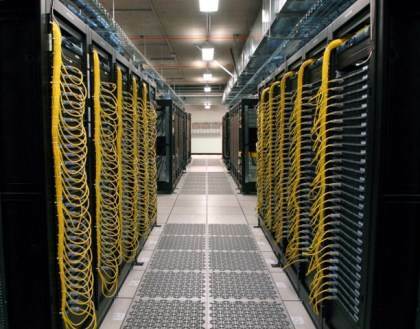 In contrast, most companies build a data center in 18-24 months. To undertake such a massive building project, Digital Realty Trust turned to SafirRosetti to help them create an integrated solution that would become the platform to control their facilities and provide centralized building management. SafirRosetti is a full service consulting firm dedicated to assisting corporations, governments and individuals develop and implement solutions for security challenges worldwide. SafirRosetti works closely with Advanced Video Surveillance (AVS) of Fairfield, NY. AVS is the one-stop shop enterprise level integrator for Digital Realty Trust. AVS manages the AMAG Technology Symmetry Global Security Management System that ties the Digital Realty Trust sites together. AVS provides technical support for all facilities nationwide. Several companies were asked to cooperate to provide a fully integrated platform for Digital Realty Trust. These include AMAG Technology’s Symmetry Security Management System for Access Control and Digital Video Recording, Andover Controls Building Management System, Critical Point Monitoring System, and Equipment Pipeline’s Computerized Maintenance and Monitoring System. The AMAG Symmetry SMS provides the integration platform for all the systems to work in a converged environment. 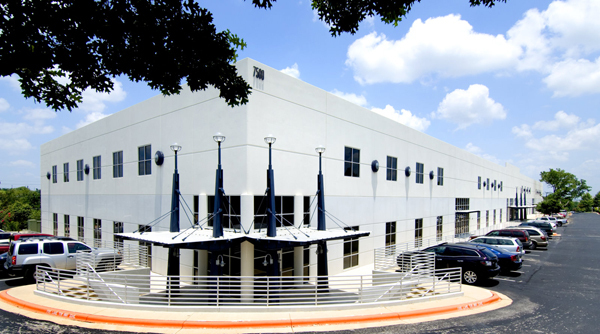 AMAG Technology’s Symmetry Enterprise Security Management System is installed at the Dallas Command Center; however each building site controls its own server providing complete control at the local level. Symmetry intelligent controllers facilitate distributed processing among the sites. AMAG’s digital video solution, Symmetry Video, works with Symmetry Enterprise to provide a deeply integrated solution. AMAG’s XML integration module allows Andover’s Building Management System to seamlessly integrate with the onsite Symmetry Security Management System. Building Management events requiring security attention appear in Symmetry’s Alarm Screen prompting action by security officers. Security officers view live cameras in a comprehensive video matrix that automatically enlarges camera views that are in an alarm state. The cameras automatically record based on priority events signaled by the security or building management system, catching critical events in real time. Each lease owner manages the security/building management system and Symmetry’s user friendly interface allows them to easily authorize, assign and change who has access to which areas of their facility. he security officers manage the security side of the building platform. The security system monitors by exception. The system documents any “exceptions” and they are addressed. These exceptions are presented to the security officer as an alarm or event along with the associated video. If a critical piece of equipment goes into trouble mode, it will translate a critical alarm to the security system. The guard will notify the correct people to fix the problem. In the event of a security alarm, security officers and building engineers both respond. Building engineers respond to all critical alarms, such as a generator system failure, but because there are some situations where they wanted both security officers and the engineers to respond, such as if somebody lifted an EPO button cover, that would immediately alert security and cameras would record whoever was tampering with that button. Tampering with that button would result in losing all power in the computer room; therefore the engineers would be notified as well. During fire alarms, both security and building engineering are notified at the same time because they both have a separate function. Digital Realty Trust has branded its integrated building solution: Critical Facilities Managementsm System. “No other company has taken these applications and tried to seamlessly manipulate them as one system,” said Martin. Symmetry adds value to Digital Realty Trust’s Critical Facilities Managementsm System. Symmetry allows Digital Realty Trust to use a single operator friendly interface to monitor access, video and building automation. As part of their value added service, Digital Realty Trust is designing a web-enabled dashboard for their customers where they can view all their building function applications. If a security alarm occurs, the customer as well as Digital Realty Trust will receive the alarm. In the future, they plan to pull up video on a particular alarm to view equipment operation, run times and the alarms. It will show potential preventative maintenance being performed or planned to be performed, and provide a real-time update of equipment status. The dashboard will display if everything is functioning properly, or if there is a situation that has the potential of causing an outage or interruption in service. The dashboard will provide a means to communicate to Digital Realty Trust that maintenance on the Critical Facilities Management System is needed to avoid a risk of equipment failure or down time that could impact the customer’s system. The customer can pull up the dashboard of their particular building and see a status of how that property is operating. It’s not only strictly security, but it has to do with building automation as well as the preventative maintenance program. A multitude of information is conveyed such as change management requests and incident reports.